By buying this product you can collect up to 79 loyalty points. Your cart will total 79 loyalty points that can be converted into a voucher of $0.79. 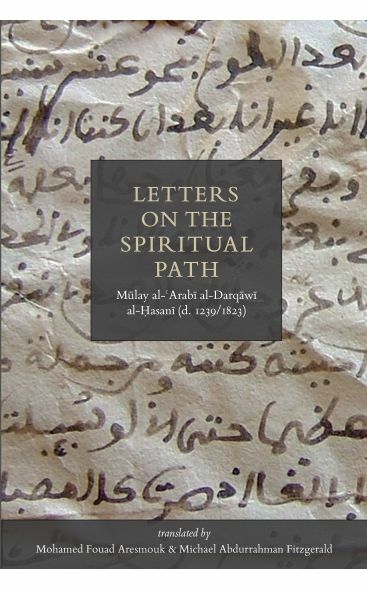 Letters on the Spiritual Path is the culmination of many years’ effort to present for the first time a complete rendering into English, or any other western language of all 272 letters of spiritual guidance written by the renowned Sufi teacher of eighteenth century Morocco, Mulay al-Arabi al-Darqawi al-Hasani (d. 1239/1823). These letters are a living example of an educative process that provided the wayfarer on the Sufic path with an integral vision of the principles, attitudes, and conduct that constitute Islamic spirituality itself and of the self-effacing comportment that leads to the experiential knowledge of the Divine (ma'rifa). They offer rare insight into the teacher/student relationship within the circles of Islamic mysticism. 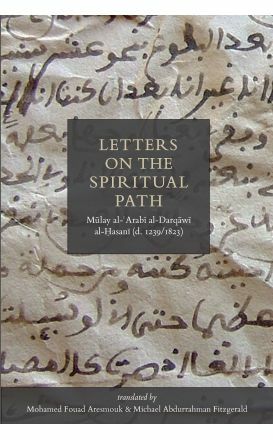 The letters are singularly personal and touch upon nearly every conceivable aspect of the Sufic path, depicting the Shaykh as a human being living among other human beings, and portraying how, for a person of God such as Mulay al-Arabi, everything that happens can be seen as infused with the Divine Presence. In this regard these letters are his response to those, like himself, who sought to negotiate the currents of the times without compromising themselves and their values, and are as relevant today as they were to those who so ardently sought copies of them during the lifetime of Mulay al-Arabi himself. The translation is in clear accessible English, and holds true to the intention of the translators to, “keep in mind the fact that they were written in an intimate register of Arabic that could be grasped by most of the Shaykh’s disciples.” The text includes an in depth introduction, is well annotated with hadith and textual referents cited, and has both detailed biographical and topical indexes. 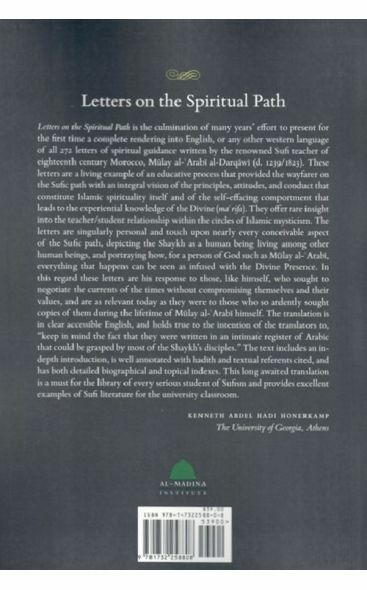 This long awaited translation is a must for the library of every serious student of Sufism and provides excellent examples of Sufi literature for the university classroom. Mulay Al-Arabi Al-Darqawi Al-Hasani (1239-1823) was a Mystic, philosopher, poet, sage, one of the world's great spiritual teachers. Known as Muhyiddin (the Reviver of Religion) and the Shaykh al-Akbar (the Greatest Master), he was born in 560 AH (1165 AD) into the Moorish culture of Andalusian Spain, the center of an extraordinary flourishing and cross-fertilization of Jewish, Christian and Islamic thought, through which the major scientific and philosophical works of antiquity were transmitted to Northern Europe. Ibn Arabi's spiritual attainments were evident from an early age, and he was renowned for his great visionary capacity as well as being a superlative teacher. He traveled extensively in the Islamic world and died in Damascus in 1239 AD. He wrote over 350 works including the Fusus al-Hikam, an exposition of the inner meaning of the wisdom of the prophets in the Judaic/ Christian/ Islamic line, and the Futuhat al-Makkiyya, a vast encyclopedia of spiritual knowledge which unites and distinguishes the three strands of tradition, reason and mystical insight. In his Diwan and Tarjuman al-Ashwaq he also wrote some of the finest poetry in the Arabic language. These extensive writings provide a beautiful exposition of the Unity of Being, the single and indivisible reality which simultaneously transcends and is manifested in all the images of the world. Ibn 'Arabi shows how Man, in perfection, is the complete image of this reality and how those who truly know their essential self, know God. Firmly rooted in the Quran, his work is universal, accepting that each person has a unique path to the truth, which unites all paths in itself. He has profoundly influenced the development of Islam since his time, as well as significant aspects of the philosophy and literature of the West. His wisdom has much to offer us in the modern world in terms of understanding what it means to be human.